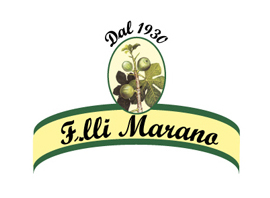 A delicious product from the tradition and flavors of our land. 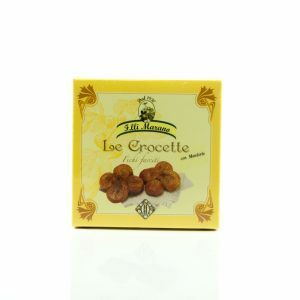 Crocette take their name from the typical cross shape which is obtained with four figs stuffed with toasted almonds and orange peel, then baked and flavored according to Marano's old recipe. 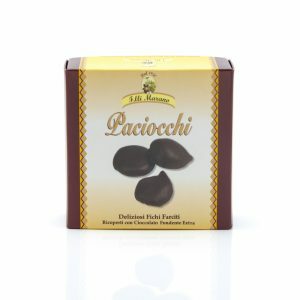 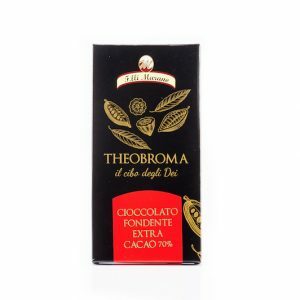 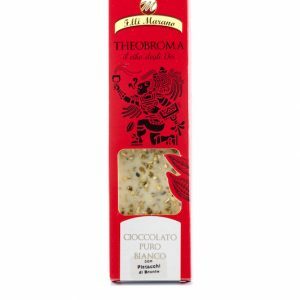 A fragrant and delicious product now become a renowned Marano Brothers classic: Paciocchi are the excellent result of a perfect combination among delicious baked figs stuffed with almond, orange zest and extra pure dark chocolate. 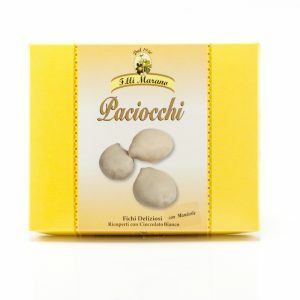 A fragrant and delicious product now become a renowned Marano Brothers classic: Paciocchi are the excellent result of a perfect combination among delicious baked figs stuffed with almond, orange zest and extra pure white chocolate. 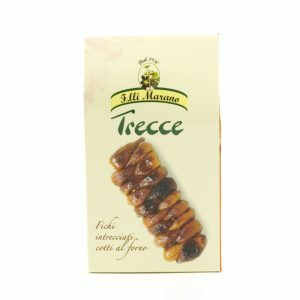 Trecce are born from an ancient and simple family tradition, delicious figs twisted together and baked, embellished during cooking by the aromas of a myrtle sprig with which they are intertwined, then coated with a tasty cinnamon sugar syrup. 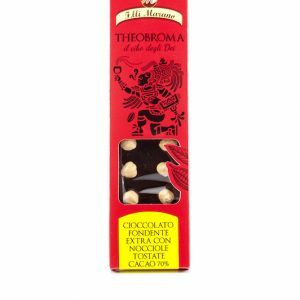 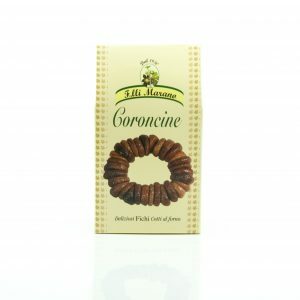 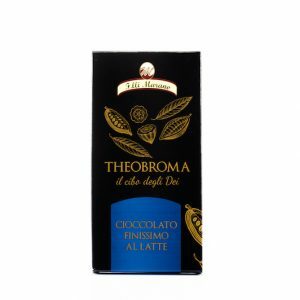 Coroncine are born from an ancient and simple family tradition. 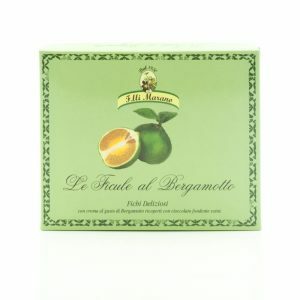 Delicious figs tucked in the shape of a crown, cooked in the oven and embellished by the aromas of myrtle sprigs and then smeared with a tasty sugar cinnamon syrup. 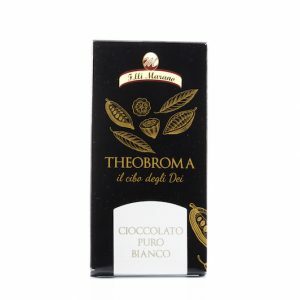 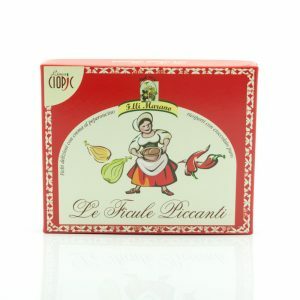 A unique product, combination of tradition and modern confectionery: Le Ficule, soft figs cooked in the oven, filled with delicious creams handcrafted by Marano Brother and covered with pure chocolate.In this variant with an original chocolate cream with chili.